Howard Greenberg Gallery is pleased to present Maelstrom an exhibition of photojournalist Philip Jones Griffiths’ coverage of the Vietnam War and the conflict in Northern Ireland during the 1970s. 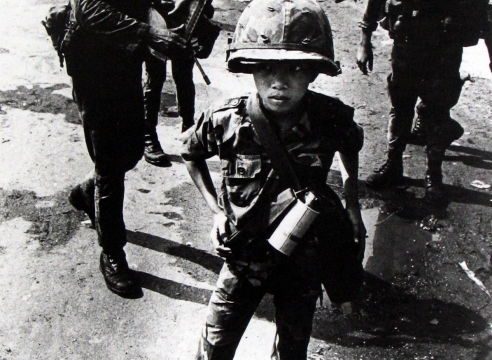 Griffiths is best known for his wartime photography, particularly his 1971 book Vietnam Inc., which was crucial in challenging America’s attitudes about the war in Vietnam. His photographs of Northern Ireland follow in the same detailed tradition of his examination of Vietnam, capturing in striking images the upheaval of a domestic war and its political and social ramifications.